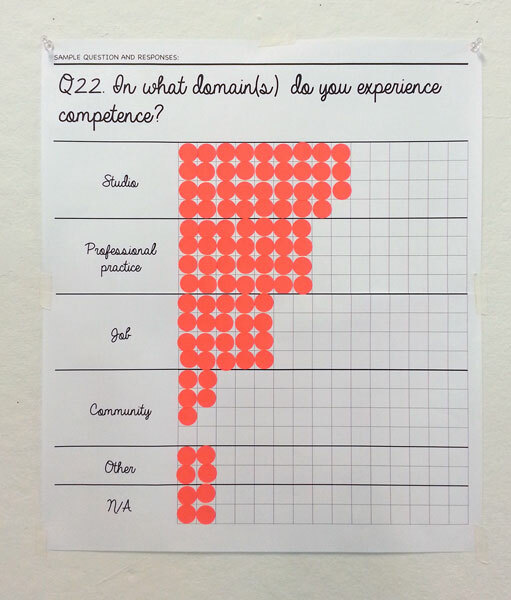 Gathering data about artists’ agency and attitudes. 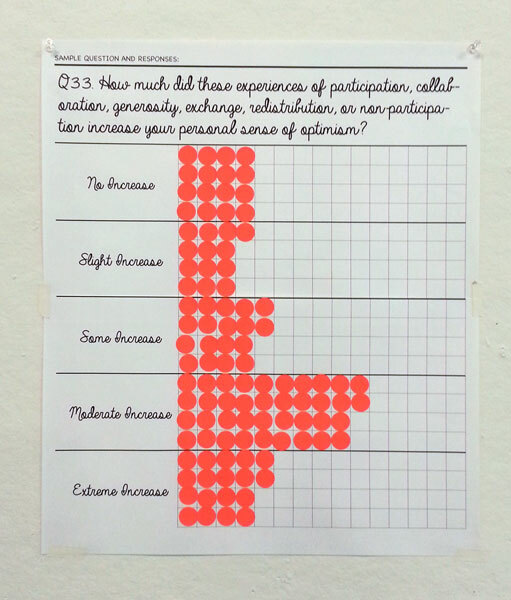 For LMCC’s Open Studios with Process Space artists-in-residence last weekend, I invited artists to take my Artists’ Personal Impacts Survey and enter a raffle to win one one of ten Irrational Exuberance (Asst. Colors) Mini Flags. You still can take the survey and enter the final raffle drawing to be held in a few weeks! 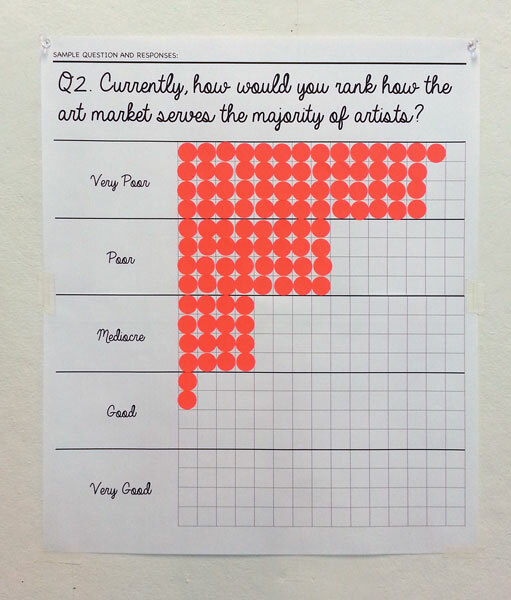 Thanks to everyone who has taken the survey and visited Open Studios. 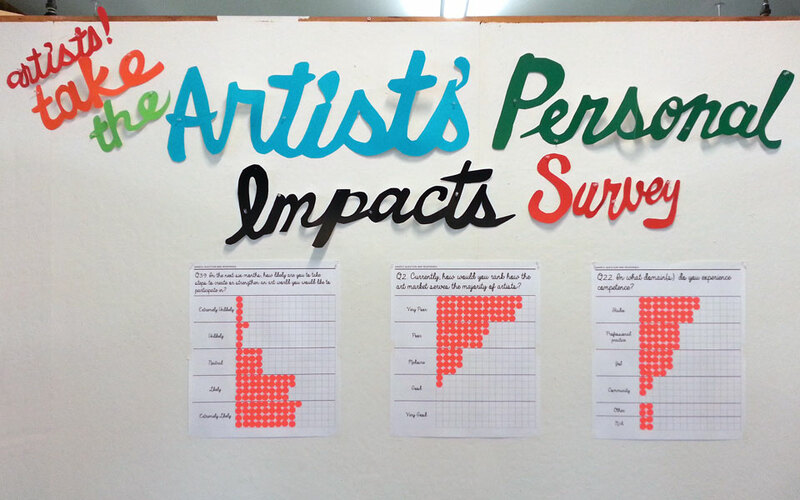 Paper cut signage with sample questions and in-progress results. 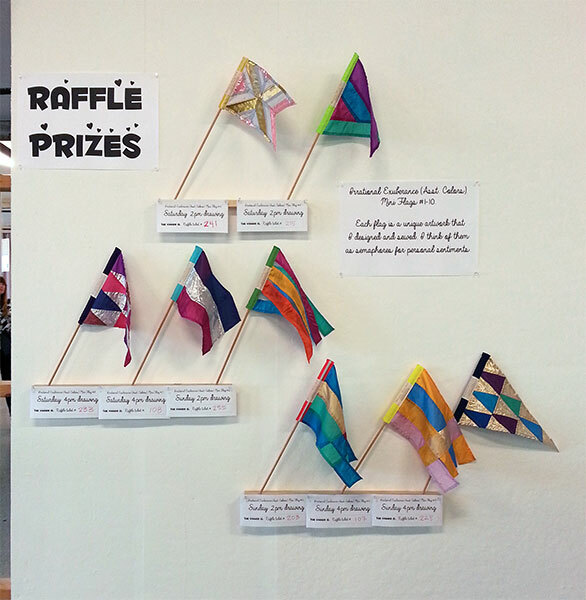 The first eight of ten prizes were raffled off during Open Studios. 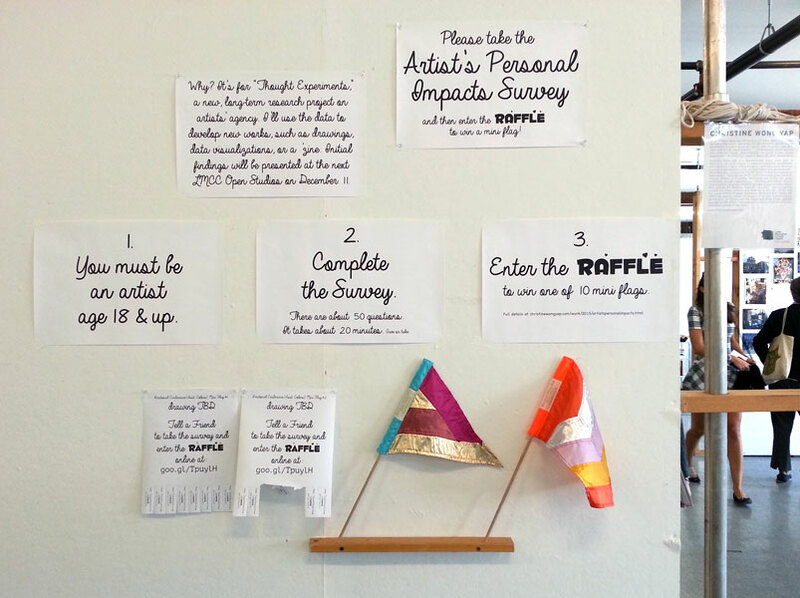 Complete the survey and enter the raffle. There’s still time to win the last two flags! Christine Wong Yap is a participant in Lower Manhattan Cultural Council’s Process Space artist residency program. 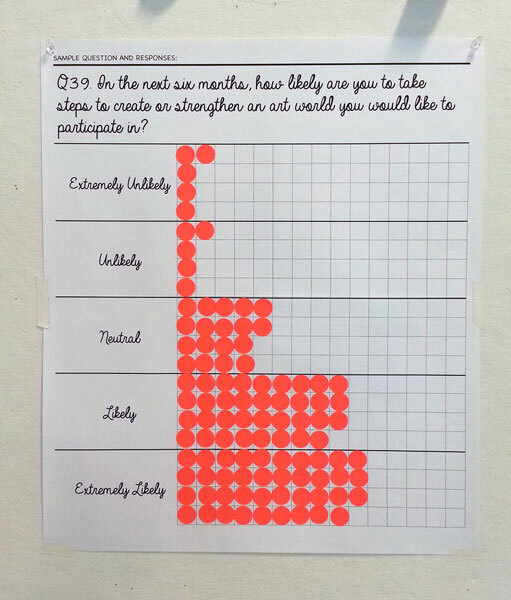 The Artists’ Personal Impacts Survey was developed as part of Lower Manhattan Cultural Council’s Process Space artist residency program in 2015.